Epicure is a gourmet / formal restaurant offering Mediterranean cuisine. Note that although GoMadrid.com strives to maintain all information about Epicure up to date, the prices mentioned are only an indication and may not reflect the exact value of your meal. 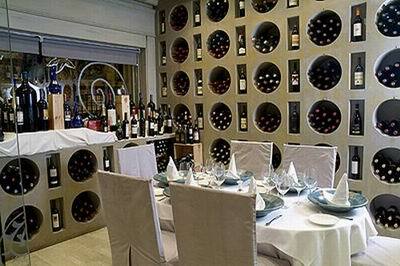 Epicure is situated in the famous central district of Salamanca in Madrid. Here, you can enjoy typical Spanish cuisine and a huge selection of over 200 wines such as Bourdeaux Chateau Lafite and Rotschild. The unusual green lighting in the restaurant creates a unique atmosphere. The address of the Epicure restaurant is: Claudio Coello 71, 28001 Madrid. The nearest Metro station is Serrano. Please see the Epicure restaurant location map below.